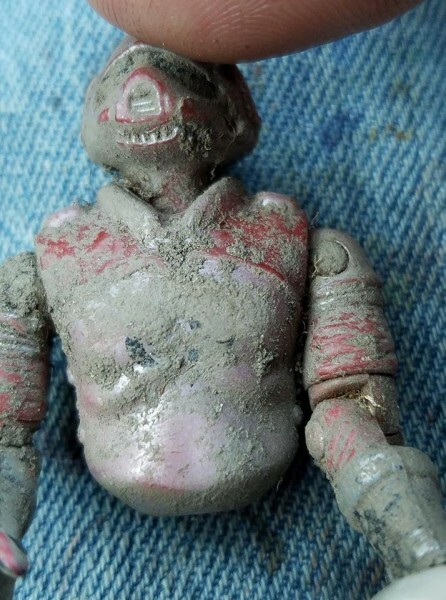 My brother called me and said he found this digging the Patio at my mom's house. I am keeping it just like this but the peeks of the symbol under 30+ years of dirt is insane!! !Lost Toys.....Unforgettable memories!! !